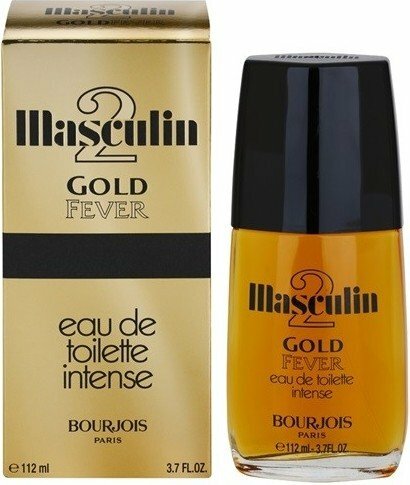 Masculin 2 Gold Fever is a perfume by Bourjois for men. The release year is unknown. The scent is sweet-spicy. The longevity is above-average. The production was apparently discontinued. Great intense EDT and at an inexpensive price. It opens quite fruity (apple? blackcurrant?). Sweet spices and wood are detectable, probably tonka, honey, cinnamon and sandalwood. It's a bit dark and animalic, making me suspect of an heavy dose of musk as well. The scent is quite pleasant all through its evolution, the longevity is above average, the sillage and projection are average. In whar concerns the scent and the value for money this fragrance is a winner. 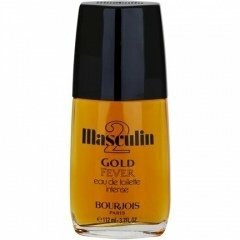 Just visit Notino and grab yourself a bottle of Bourjois Masculin 2 Gold Fever! Bought it blindly with Masculin 2 Black Instant for ab. 5.5 euros each. It smells for me mostly like red/black grapes, but it has some notes that I can only suppose them. Very spicy. I smell also cinnamon and apple. Very good longevity (more than 8 hours on my skin), but moderate to poor sillage. Skin scent after ab. 3-4 hours.